Following the West Hollywood City Council’s approval in September of a Sunset Strip redevelopment project that would house the upscale Arts Club, Unite Here Local 11, a union that represents hospitality workers in hotels, restaurants and similar industries in Southern California, is pushing back. The union chapter has gathered enough signatures to put a measure on the city’s March 5 ballot that could overturn the project’s approval. The project, by VE Equities and London & Regional Properties, will redevelop the site of adult store Hustler Hollywood into a nine-story mixed-use commercial building with retail and restaurant space, offices, a performing arts rehearsal room, a live music space and a public art gallery. It will also host The Arts Club, a private organization founded in 1863 in London by Charles Dickens and other artists, which will feature a restaurant, lounge, guest rooms and rooftop pool. The new 120,000-square-foot building at 8920 Sunset Blvd. would be the club’s first venue in the United States, and would offer a space for artists, writers and performers to connect. To join The Arts Club in London costs the equivalent of more than $2,000 annually, in addition to an initial fee of more than $2,000. The membership costs have not yet been disclosed for West Hollywood. The redevelopment plan passed with a 4-1 vote and over 30 residents voicing their support at council meetings in August and September. However, Wilson said that union representatives met extensively with council members prior to the project’s approval to discuss their concerns regarding “meaningful community benefits, such as affordable housing” that they believe the project lacked. 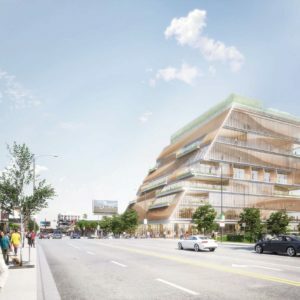 The project includes a public benefits package valued at $13.35 million with the free art gallery, public rehearsal space and planned contributions to West Hollywood art programs, according to Jennifer Alkire, senior planner for West Hollywood. More than 2,800 West Hollywood residents signed in support of the referendum within 30 days of Unite Here launching a campaign. A 60-person coalition knocked on doors throughout the city, according to the union. Mayor John Duran continues to support the project. Councilman John Heilman, who voted against the redevelopment in September, disagrees with the union’s turn to the ballot referendum. His objections stem from the building’s proposed size, not the club itself, he said. According to West Hollywood City Clerk Yvonne Quarker, the City Council will discuss the referendum and the city’s options at its next meeting on Nov. 19.